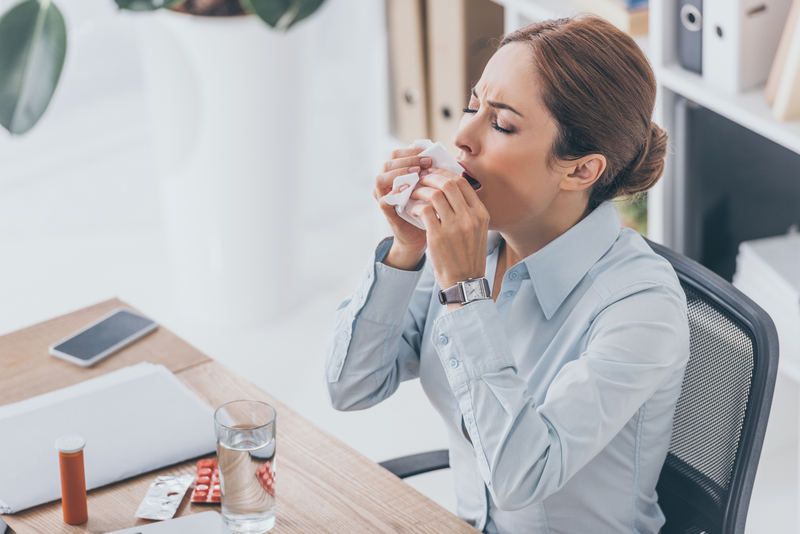 Every year, thousands of individuals contract influenza – especially during the peak flu season that runs from October through March. The virus's severity ranges from a few days under the weather to possible hospitalization. Luckily, an annual flu shot can help protect against the potentially life-threatening disease. Here’s a closer look at its benefits. While the CDC recommends everyone over the age of six months gets vaccinated, there are certain populations which are particularly vulnerable. Children, the elderly, and pregnant women, especially, risk complications from the flu virus. By getting the shot yourself, you reduce the risk of spreading the infection to these at-risk groups. If you contract the flu, you could find yourself missing a week or more of work. By receiving a flu shot, you reduce your odds of becoming ill, having to pay medical bills, and using up your paid time off. The vaccine can allow you to save your days for other occasions and avoid having to catch up on a pile of work after being out. Because there are so many different strains of the virus, there’s still a slight risk of contracting the flu even after receiving the shot. However, the vaccine can still be effective in limiting the severity of symptoms. If you do become sick, it is likely that the illness will be less severe, and you will recover in a shorter amount of time than you would have otherwise. Getting your flu vaccine can prevent you from facing severe complications, such as pneumonia and dehydration, which would necessitate a trip to the hospital. This is especially advantageous for the elderly and young children, who are predisposed to illnesses more than others. People who suffer from chronic health issues also reap specific benefits from receiving their annual flu shot. This vaccination has been linked to lowered risks of certain cardiac events, especially among individuals with a history of acute coronary syndrome. It has also been shown to reduce hospitalization rates in people with diabetes. Another very important reason to get the flu vaccine is to help prevent the spread of the flu to those who are not able to get the vaccine and are most at risk. Those individuals rely on the health of the community to prevent widespread infection. It is not always just about you! If you haven’t already done so, be sure to visit Access Health Clinic in Spring, TX, for a flu shot. The vaccine is updated annually to protect you against the season’s most prevalent strains of the virus. In addition to preventive services, these primary care physicians can also diagnose and treat coughs, colds, and other unexpected illnesses. No appointment is needed, so drop by their location at your convenience. You can also browse through their full list of services online or call (281) 251-8700 to reach a staff member.